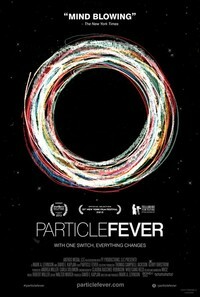 We cordially invite everyone to a showing of the feature-length documentary “Particle Fever”. Martin Aleksa, CERN-based Austrian physicist and one of the six protagonists of the movie, will be joining the event. The movie is a documentary produced physicist David E. Kaplan together with Academy Award winning film editor Walter Murch (The Godfather I-III, Apocalypse Now). The film accompanies 3 theorists and 3 experimentalists during the start-up of the Large Hadron Collider at CERN, and tells the thrilling story of the search of the Higgs boson. the Institute of High Energy Physics, Nikolsdorfer Gasse 18, 1050 Wien, first floor, Ms. Fortin. Pick-up times: 3. Nov. – 14. Nov. 2014; Mo – Fr 9 a.m. – noon. Pick-up times: 3. Nov – 14. Nov. 2014; Mo-Fr 9 a.m. – noon. Pick-up times: 3. Nov – 14. Nov. 2014; Mo-Fr 9 a.m. – 4 p.m.